Hannah joined Cranfield University as a lecturer in December 2016. 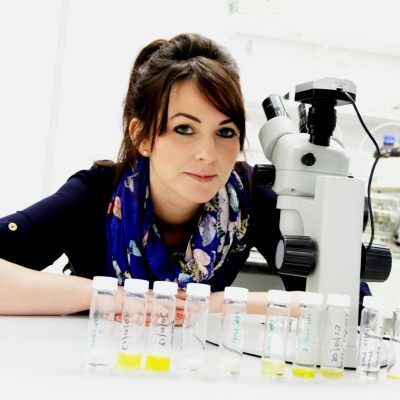 Hannah completed her BSc (Dual Hons) in Chemistry and Forensic Science before going on to her PhD in Analytical Chemistry applied to Forensic Entomology at Keele University. Hannah then spent a few years in industry specialising in Mass Spectrometry. During her PhD, Hannah was awarded a Winston Churchill Memorial Trust Fellowship, allowing her to travel and study with leading forensic entomologists and analytical chemists in the USA.